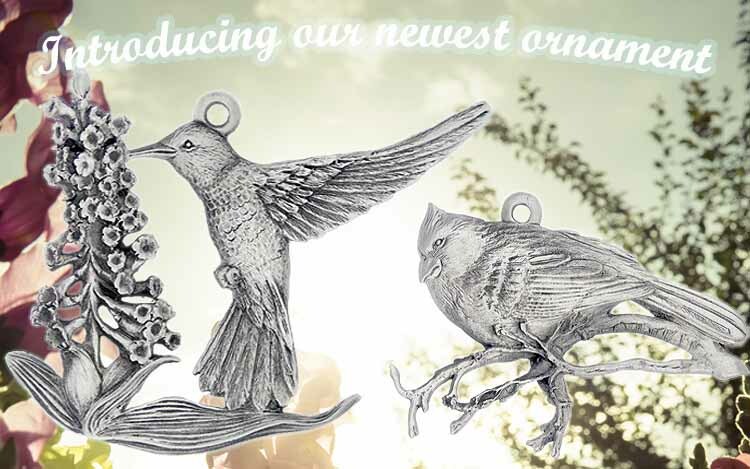 Our newest ornament for 2017 is the beautiful and majestic Hummingbird! 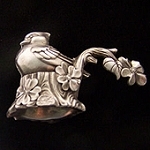 This finely detailed ornament showcases the hummingbird stopping to take a drink of nectar. 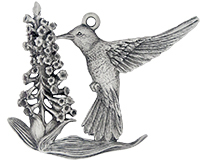 This truly picturesque moment of the hummingbird hovering nearby the butterfly bush is hand-sculpted and crafted using our lead-free pewter formula. The details on the wings of the hummingbird and the buds of the bush have been captured and recreated by our artists and craftsmen. 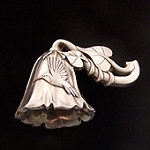 You will almost think that your hummingbird is zipping through the trees when you hang this Hampshire Pewter ornament on your Christmas Tree! Another one of our featured avian friends is the Northern Cardinal, renowned far-and-wide for their songbird characteristics. This handcrafted Christmas ornament features a beautiful cardinal perched on a branch and ready to share its song. The impressive cardinal ornament hangs on a bright red ribbon that will invoke a sense of the brilliant colors of the Northern Cardinal that inspired this piece. Your Christmas Tree will be complimented nicely with this finely sculpted pewter cardinal perched among the evergreen branches!